We will always create and implement innovative and effective methods of providing cost-effective, quality representation and services for our clients and will continue to meet and strive to exceed the expectations of our valued clients." - Mr. Ashish B Desai. We undertake drafting and vetting of all kinds of documents such as Contracts, Agreements, MOU's, Deeds, Rules, Wills, Banking agreement etc. We have vast experience in representing our clients before Courts and Commissions for all kinds of work. 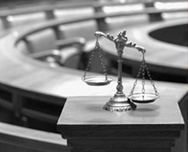 We comprises of team of experts who advises clients on all legal issues to minimize litigation. We also encourage Negotiations & Mediations using our good offices for out of Court settlement and prompt resolution of disputes, thus saving time, energy and costs. We also associate with financial experts such as reputed Chartered accountants Firm, who are entrusted with all kinds of financial work etc.Ashish B Desai Have highest standards of service are maintained For Divorce Case Advocates in Ahmedabad ,Divorce Case Advocates in Gujarat. The viewer acknowledges that he/she has read and understood the disclaimer as provided hereinabove. The viewer acknowledges that there has been no inducement, invitation or solicitation of any nature whatsoever from the author/owner of the website or any of its members to create an attorney-client relationship through this website. This website is not intended to be, nor is, a source or form of publicity, Advertisement or solicitation of work. This website does not in any way establish or intend to establish an attorney-client relationship, nor is it intended to be used as an invitation for such relationship. We do not wish to represent anyone desiring representation based solely upon viewing this website. The viewer acknowledges that he/she has read and understood the disclaimer as provided hereinabove. The viewer acknowledges that there has been no inducement, invitation or solicitation of any nature whatsoever from the author / owner or any of its members to create an attorney-client relationship through this website.